After an incredibly busy week at Origin Fitness we take a minute to look back on another successful visit to Leisure Industry Week 2016. 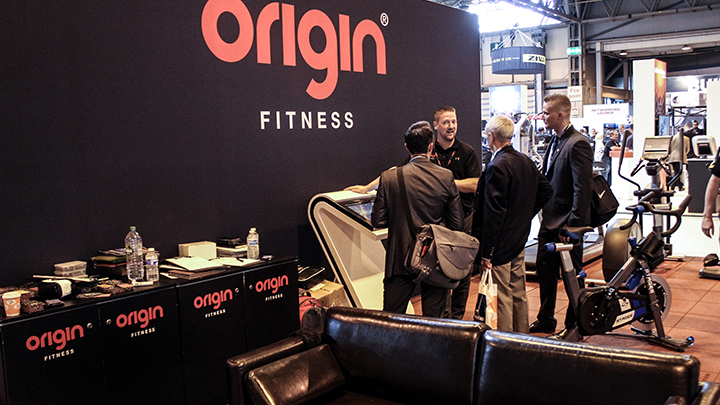 From the 20th to the 21st of September at Birmingham NEC, Origin Fitness hosted one of the largest stands of the event, located at front and centre of the main hall. 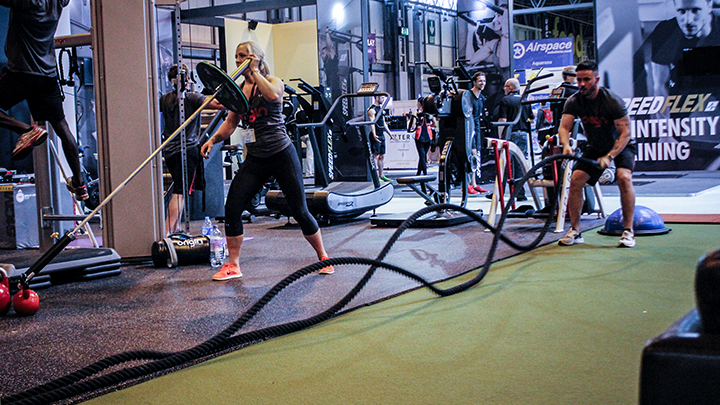 Split in to four zones, the stand showcased some of the very best of our cardio and strength kit in D10, while C10 covered our functional training range and hosted training and demo sessions throughout the two days. The green sprint track segment down the middle kept the areas separate. Meanwhile, it demonstrated the creative flooring solutions we are able to offer and also played host to some sled and power rope drills to break up the day. This year’s LIW was extra special for Origin Fitness, as it allowed us to officially launch the new Origin Indoor Cycling range, which was welcomed with great enthusiasm. The OC3 and OC5 bikes shared the stage with the first trade show outing for Origin Performance Strength range. 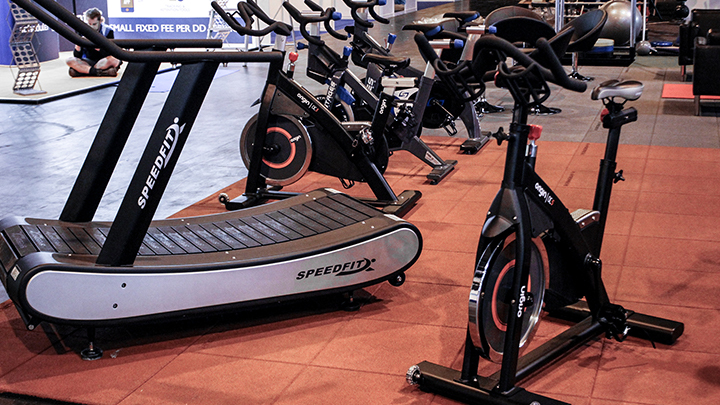 Another star of the show and UK exclusive was the Speedfit curved treadmill. We hope this product got a lot of people talking and thinking about how their cardio equipment reflects the industry demand for HIIT training. Alongside our own range, Origin Fitness was of course proud to exhibit some of our key partner’s products. These included the exciting Stages SC1 and SC3 bikes, Jacob’s Ladder, Cybex SPARC as well as Stairmaster’s new Air Fit bike and Upper Body Ergometer (UBE). Next to these we brought some key items from partners including Impulse and Star Trac, offering anyone who saw our stand a real taste of the comprehensive range of products and services Origin Fitness have on offer. For the first time ever, our team were able to give customers the chance to visualise the Origin Fitness gym design service in a whole different light using our exciting VR 360° virtual tours. These immersive 3D tours received some great feedback and look set to become a key offering for clients interested in our gym design services. We were also proud to be able to offer the first copies of our new, 2017 Origin Fitness Brochure, which has information on all our exciting new products. If you missed out on picking up your copy, you can download it here. Our Master Trainer, Claire Tracey and her team, were constantly on the go on the stand. Her demos and workshops kept the energetic vibe surrounding the stand going, and demonstrated the true versatility of the kit. We also found time to catch some of the seminars and workshops being delivered by friends of Origin Fitness like Chris Burgess (Lift The Bar), Luke Johnson (Shredded By Science) and Jon Nasta (Xercise4Less). Keeping on top of current trends and topics being discussed at the show is another great part of attending key industry events like LIW. It was also fantastic to meet up with some of our existing clients, and to starts conversations with potential new ones. Now that LIW is behind us, it doesn’t mean Origin Fitness will sit back and relax. We are already beginning preparations for the FIBO at the Exhibition Centre in Cologne from the 6th to the 9th of April 2017, and hope to see you there! This entry was posted in Events and tagged LIW, Leisure Industry Week, Origin Fitness, Event, Highlights, best of on 27th September, 2016 by Eva Deckers.